What It Takes To Achieve Dwayne “The Rock” Johnson’s Success. As many you already know, one of my interests is to research successful people and reverse-engineer how they became successful. I believe we are all born equal. No one person is born with super-human powers that help them to become more successful than everyone else. What determines success is life experiences and mindset and over the last couple of weeks or so I have been researching Dwayne “The Rock” Johnson discovering how a former Pro-wrestler became Hollywood’s highest-earning actor ever! After reading articles about Johnson’s work ethic and total commitment to his work it became very clear how he did it. Have an insane work ethic. As with all forms of success, whether that be in acting or sport, you find the people at the top have an insane focus on becoming the best. They out work, out train and out learn their ‘rivals’. They are incredibly competitive, while being competitive may be unfashionable, their total focus is on being number one. Dwayne Johnson’s rivals may wake up at 6 am and practice their lines. Dwayne Johnson wakes up at 4:00 am and exercises. Rivals may feel working a twelve hour day is more than enough, Dwayne Johnson does seventeen hours and still feels there’s more to be done. And that’s the thing, Life is competitive — it always has been — look at any large, successful company structure. There’s normally only one CEO, yet there will be thousands of entry-level positions. It’s relatively easy to enter a company, it’s much harder to become the CEO of the company. To become the CEO you need experience, skills and a unique ability, a differentiator. It’s that unique ability — the differentiator — that gives you the advantage. It could be you are a brilliant negotiator or have the ability to build incredibly talented teams. What that unique ability is, is less important than the fact you have that ability. Dwayne Johnson may not be a classically trained actor, but he does have immense screen presence. His physicality jumps out at you and his booming voice is not only endearing it is also incredibly charismatic. You can bet he works on those parts of his skills relentlessly. It is your strengths that will give you the advantage, not your weaknesses. Don’t ignore your weaknesses but focus more on your strengths because your strengths will be what gives you the advantage. When I was a competitive 1,500 metres runner I knew my strength was my sprint finish. I knew as long as I stayed on the shoulder of the runner leading the pack when it came to the last 200 metres I was in with a good chance of winning the race. This meant I needed to make sure my speed endurance was strong enough to put me in a position where I could allow my strengths to go to work. So I trained for speed endurance doing sets of 400 and 600 metres with very short rest between runs until I could run no more. I was strengthening my strengths. Sundays, though, were always long ten to twelve mile runs — stamina was still an important part of the overall training programme, even though that wasn’t my strength I still needed the ability to stay on the shoulders of the leading runners if I wanted to win. Be obsessed with the details. When you look through Dwayne Johnson’s social media feeds, it is clear he is most comfortable wearing sportswear. Yet, as a leading actor, he is required to attend premieres of his films and do media events. You can’t exactly turn up in your training gear for an event like that. What does Johnson do? He hires one of the top stylists to dress him for those events. Whenever you see Dwayne Johnson at a premiere, he looks fantastic! Dressed entirely appropriate for the occasion. It’s that attention to the details that put Johnson at the top of his field. He understands what it takes to get to the top. You see the same with Tony Robbins. When Tony Robbins is on a business TV channel, he’s wearing a suit and tie. When he’s performing in front of 15,000 people at an Unleash The Power Within event, it’s dark blue jeans and a dark blue shirt. Your image and the details of the work you create matter. Whatever it is you want to achieve, striving to be the best at what you do is a sure fire way to achieve it. Never settle for average when with a bit of effort you can become the leader. You can be the one people look up to as the leader and you can be the one to set the example for people to follow. Total commitment, total dedication and total focus. That is how you become a leader, that is how you achieve success. There are no shortcuts, you create your own luck by doing the work, reading the books, lifting the weights and practising your craft day in day out. If you want to learn more about achieving success and becoming the leader in your chosen field then take a look at my Ultimate Goal Planning course. It’s a complete system that will help you to discover what you want to achieve and shows you how to create a plan to go out and achieve it. Never Let Anyone Take You Away From Your Core Daily Disciplines. Your core daily disciplines are the things that give you control, flexibility and freedom to live a great life. They are the things that are important to you. It could be your fitness, your self-development or your family values. If health and fitness are important to you, you will exercise regularly and eat healthily. Your discipline ensures you go out for the run in cold wet weather or despite there being a plate of cookies on the meeting room table you refrain from eating any. If self-development is important, you allocate time every day to learn and develop the skills you want to learn. These are your core disciplines and they are based on the things that are important to you. 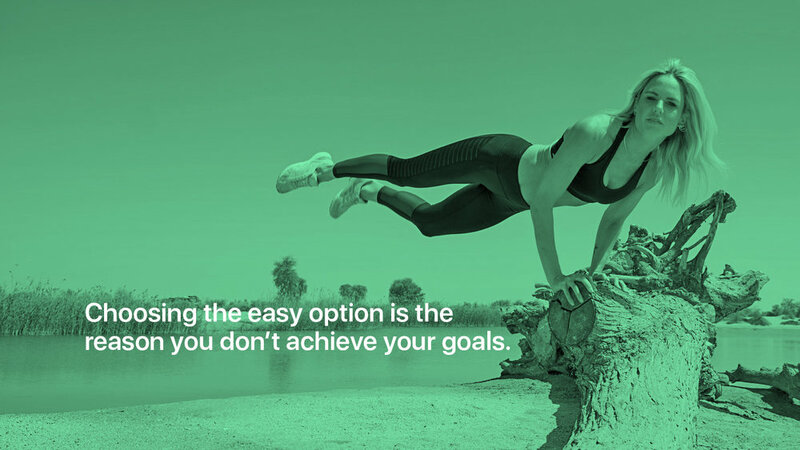 Choosing the easy option is the reason you don’t achieve your goals. The reason so many people fail to achieve the things they want to achieve is that they allow other people to distract them from the things that are important to them. Your friends call you on a Thursday afternoon and invite you out for a few beers. You had planned to go to the gym, but you’ve had a hard day at work so you agree to go for a few beers. It hard to motivate yourself to go to the gym and it’s hard to say no to your friends. So you take the easy option and go for the beer. On its own, that one night out for a few beers instead of going to the gym is going to do little harm. But the problem is not the one time, the problem is you likely regularly make those kinds of decisions. You regularly take the easy option instead of staying focused on your core values. Being a disciplined person gains you respect from your peers. Many years ago I worked with a guy who made it a priority to go to the gym Monday to Friday after work. He was in incredible shape and he ate clean and I mean clean — clean sources of protein and a lot of fruit, veg and nuts. On a weekend, he allowed himself the freedom to eat and drink and do whatever he liked. Interestingly, once you got to know Andy, you knew not to invite him out during the week because he would always say no. Andy got a lot of respect from the people around him. We all wished we could be like him (and look like him!). The truth is we can all be like Andy. We can gain the respect and admiration of others and we can set an example for those people around us by not giving in to the easy decisions. By staying true to our core values and disciplines. Don’t give other people the power to determine the course of your life. When you allow other people to prevent you from doing what is important to you, you are giving other people control of your life. If exercise and maintaining your health is important to you, you will find time every day to exercise and to each healthily. If you allow the agendas of others take your exercise time or to push you to eat unhealthily or drink too much alcohol, then you give those others control over your life. If studying new skills and improving your education is important to you, yet you allow other people to change your schedule so you cannot attend your class or practice your skill, then you are giving other people control over your life. If spending quality time with your family every day is important to you yet you allow your boss to keep you late at the office doing additional work, you are giving up control of your life to your boss. If you are responding to work messages and calls on a weekend instead of playing with your children you are giving up control of your life to your boss, colleagues and customers. Take responsibility and control of your life. To take control and to take full responsibility for your life and your time You need to establish boundaries that cannot be broken by the agendas of others except in extreme circumstances. If you don’t do your daily core disciplines because you are not in the mood or you feel lazy, you are giving in to your weaker self. Stop yourself. These are your core disciplines, these are the habits and actions that will transform you from where you are today to where you want to be in the future. It’s our negative, undisciplined self trying to maintain an easy life and we must ignore that voice and pursue the goals and dreams we have for the future. You need to develop the strength and discipline to do those daily activities that will move you a step closer each day towards where you want to go. Once you establish these boundaries, and you do not allow the wishes and agendas of others to cross those boundaries, you will start to receive respect from the people around you. People will look to you as an example to follow, people will want to be like you and people will start asking you how do you do it? Just like we all saw Andy as a shining example of how to live life. You will also start making progress towards achieving all those things you want to achieve in life. It’s not all discipline and rigidity. I am not suggesting you say no to everything that comes your way. It is important to have some flexibility in your life. But when pursuing the important things in your life you need to become uncompromising. Sure, if you want to keep Friday nights free so you can hang out with your friends, great, schedule that time. If you want to go out clubbing and drinking on a weekend, wonderful do it. But when Monday comes round, you get back to your focused, disciplined life and become uncompromising again. You go to the gym, you do the class, you spend time with your family and you allow nothing to get in the way of pursuing developing yourself into a better person. That’s how you go from where you are today to where you want to be in the future. you for reading my stories! 😊 If you enjoyed this article, please hit the like button below👍 It would mean a lot to me and it helps other people see the story. 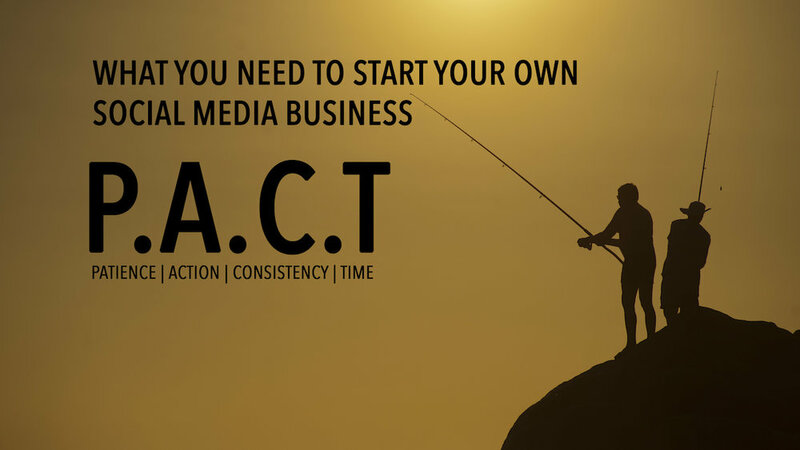 How To Build A Social Media Channel Using P.A.C.T The FREE Online Course. My latest online course has just gone live and it is a free course on using the principles of P.A.C.T to create your own successful social media channel, whether that is on YouTube, Facebook or Instagram. Many people dream of creating a YouTube channel, an Instagram account or a blog that becomes one of the world’s most popular places in its field. Yet, most people fail to achieve it. The reason is quite often nothing to do with skill or know-how. The majority of cases fail because they do not have P.A.C.T. P.A.C.T is an acronym for Patience, Action, Consistency and Time. And if you want to be successful at creating a social media account—or anything else—you are going to need all four of these things. You are not going to become the next Dwayne Johnson (The Rock) on Instagram or the next Seth Godin in the blogging world overnight. It takes time, it takes patience, you need to take a lot of action and you have to be consistent. In this course, I show you how you can apply these three behaviours and one element to build your own, successful social media channel. Each word has its own section, and each section has a scenario study that shows you how each one applied can really help to create a great channel. I am not promising you will get millions of followers—that depends on your story and your content—what I am showing you is what you need to have to be able to achieve such a result. I hope you enjoy this course, and I hope more than anything else that you will become a huge star in the world of social media. The course is 100% free (for now), and included in the course is the slide-deck I used to make it. If you would like to download your own copy of the slide deck, you can do so right here. Good luck and if you need any advice or help in creating your social media presence, feel free to reach out and if I can help, I will be more than happy to do so.